“Letter W is for WiLd/WaCkY Week” is next! Letter V is for Veterinarian Week was ViVid, Vigorous, ViVacious, Virtuous, and Victorious – particularly for Miss Justine’s undergraduate Alma Mater, UConn, whose mens’ basketball team won the national championship earlier in the week! The students were quite Victorious as well when it came to bringing in great letter V/Veterinary shares. 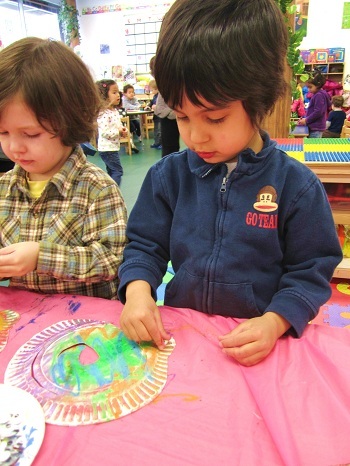 Read on below to learn about the fun that was had and learning that took place. The letter V shares this week included Vests, Venomous snakes, Vehicles, Vans, Volcano books, Vegetables, Video games, and of course nearly every animal that Visits a Veterinary office! 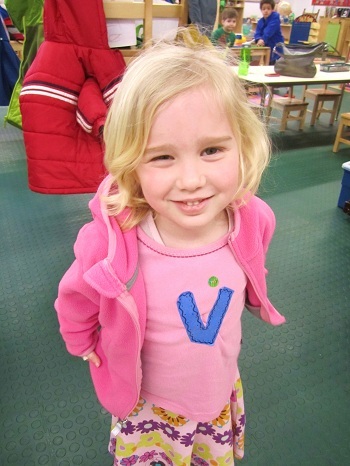 Here is one student who not only brought in a V share – she was the V share! 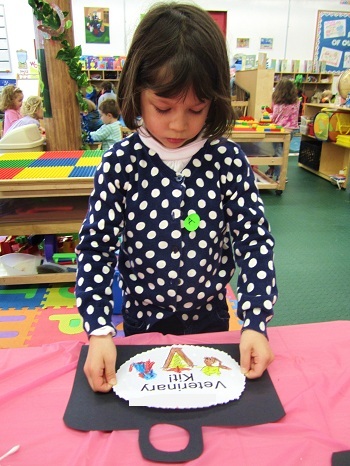 Monday and Tuesday morning began with the usual letter of the week writing/tracing fine motor activities. 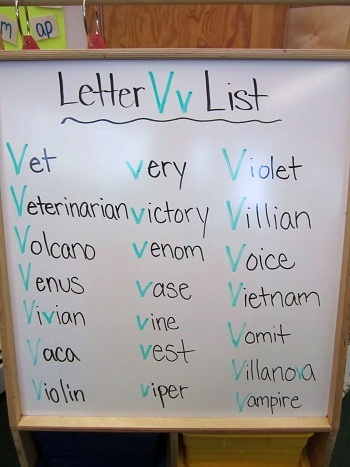 During the afternoons, the students began their letter V word list. As you can see, the list was quite Voluminous! 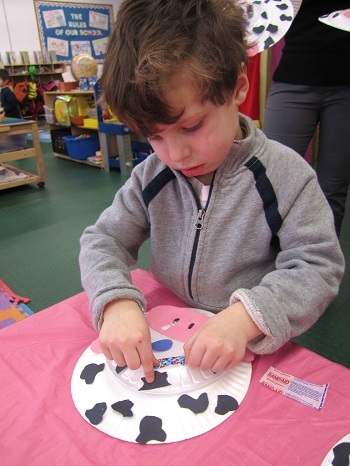 The crafting began on Wednesday as the students made their first V craft of the week – a cow? Wait a minute! Cow doesn’t start with V! Did the students make a mistake? Here is the back of the project – it should help clarify. Of course! 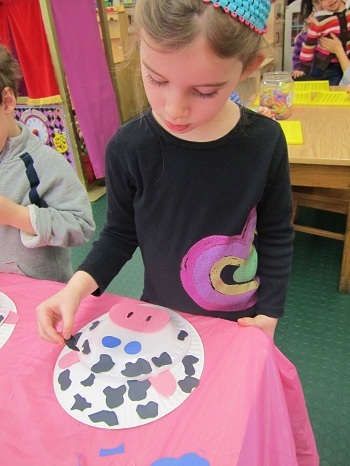 The word for Cow in Spanish is Vaca! How smart the PPA students are! Here is how they went about making their Vacas. A Band-Aid to finish it off! 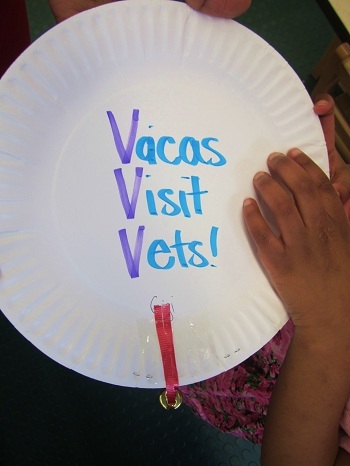 The students had a blast coming up with the different reasons why each Vaca had to Visit the Vet! Here were some of the silliest reasons that the students came up with! Regardless of the reason for coming, all of las Vacas that went to the Vet headed home with the students feeling MUCH better! During Wednesday afternoon, the students had Spanish class and they reviewed El Animale (Animal) vocabulary by singing the song. Afterward they created a list of other animals that they would like to know the name of. Here is what they came up with. One of the words added came in handy, particularly on Thursday when the students created one for morning work! 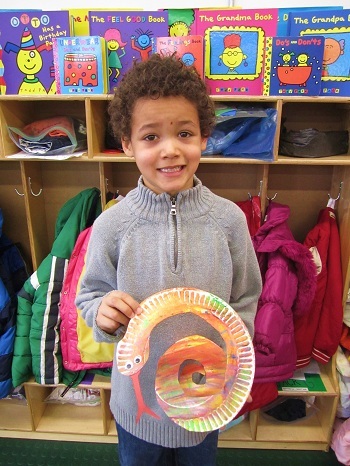 On Thursday, the students crafted basic paper plates into Very Vicious Venomous Vipers! 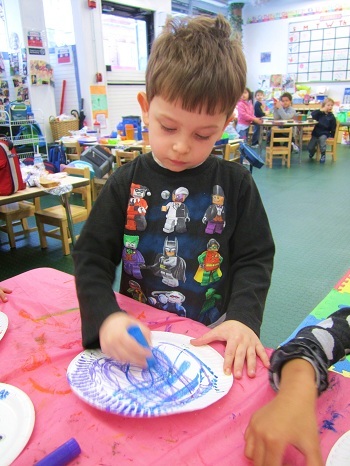 The students used silky sticks to color beautiful designs onto the plates. 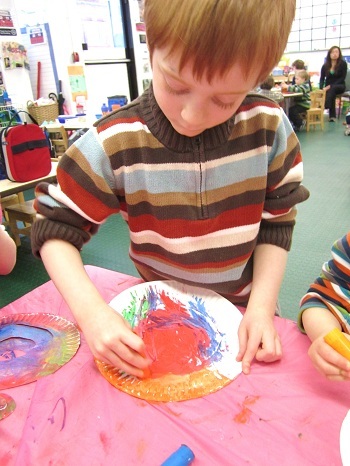 After the colors had been added, the students blended them together with the warmth from their fingertips. 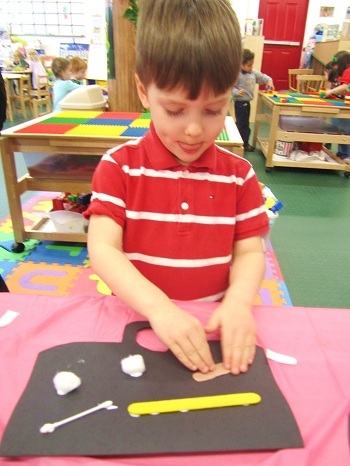 With a little help from the teachers, the snake body was cut out. The students then added googly eyes and a tongue to create the following Venomous Viper! LOOK OUT! In addition to the regular Spanish class on Thursday, the students were also introduced to some Vietnamese Vocabulary from Miss Thao. Miss Thao’s family is from Vietnam and she grew up speaking Vietnamese in her home. Here are some of the words that they learned. After a long week of discussing what Veterinarians do (and mispronouncing them as Veggie-itarians or Veg-it-ma-tarians) the students had finally figured it all out by Friday! 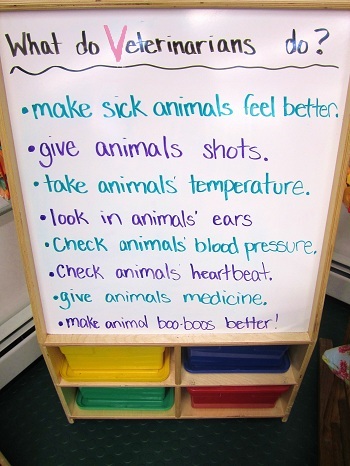 Here is the list that the students came up with to show their Veterinary knowledge! 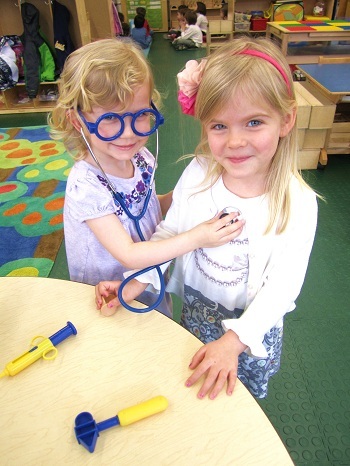 The students clearly knew a lot about what it means to be a veterinarian, so much so that the teachers decided to turn them into Junior Veterinarians! Aside from a lab coat and stethoscope, every good veterinarian needs a Veterinary Kit full of important tools and supplies! 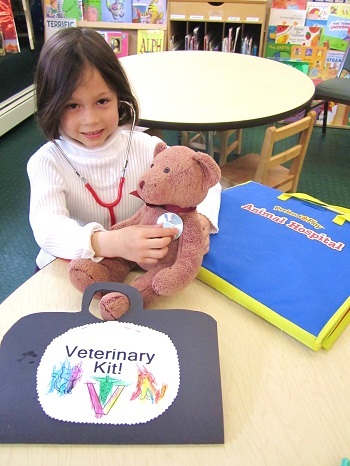 For their morning work, the students began by coloring in a veterinary coloring page which they later adhered to the front of their Veterinary Kit. After the exterior of the kit had been created, the students inserted all of their veterinary supplies including cotton swabs, Q-Tips, Bandages, and even a tongue depressor! 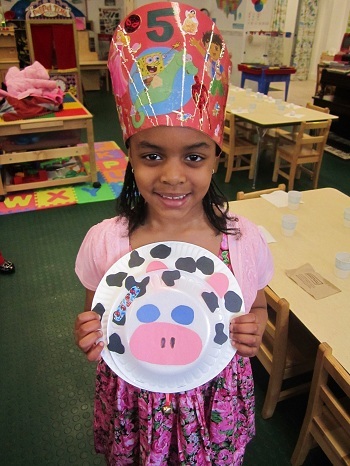 Throughout the week, the students surely learned that animal care and people care is not all that different! Speaking of animal care, Friday afternoon wrapped up with a technology presentation all about Veterinarians and Pet Care. Watch below to see a seven week old puppy get her first physical exam from at the Vet! She is such a brave puppy – she doesn’t even whimper when she gets her shot! This exam sure looks a lot like the exams that happen at the pediatrician’s office! Now, that was a veterinary exam for a domestic animal but what about wild animals like zebras, elephants and giraffes? Do they see vets? The wild animals at the zoo sure do! Be sure to take a peek below to hear a Zoo Veterinarian explain what life is like working at the zoo! Enjoy! 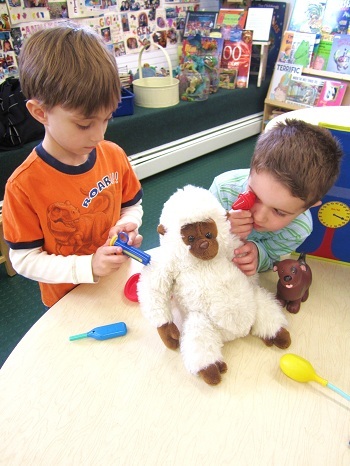 Well, that is all for “Letter V is for Veterinarian” Week! As always, thank you for reading! See you next week for some more learning and fun! 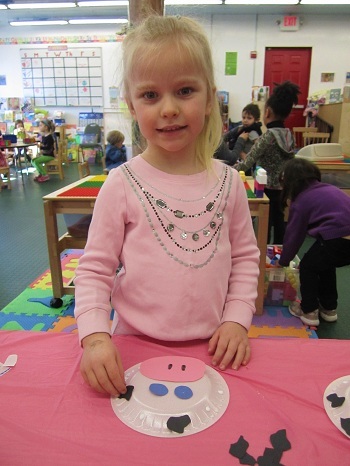 Pre-Kindergarten Students Graduation Fee ($50) due on Wednesday. Students should come to school dressed in their WACKIEST outfit! Students should come to school dressed in their WILDEST outfit!